In The Cat Cave: CCC #007: Chevrons..thank you Nancy! Chevrons are everywhere now so join in on the challenge!! Oh, and this month there's more blog candy...so make sure you check it out!! You have until September 30th to play along..
Now... wanna see what I made? I found out a wonderful childcare provider to my daughter was off to continue her studies and in all likelihood wouldn't be back. Over the past couple weeks Jane has been on and off with different sicknesses. And so it was Nancy who was holding her and going the extra mile while she was at the Gingerbread House daycare. I appreciated knowing the extra details of how Jane had spent the last 7 or 8 hours of her day... to my dismay usually holding hands with boys... or receiving hugs and kisses.. (oh, she's barely three). I wanted to give Nancy a little gift to say thank you! 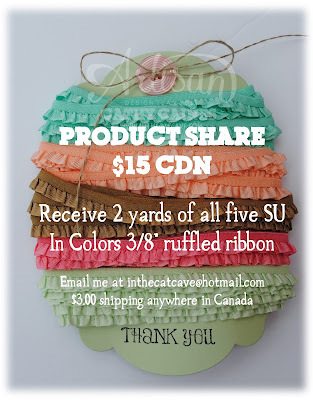 This was created using the Stampin' Up! muslin bags. 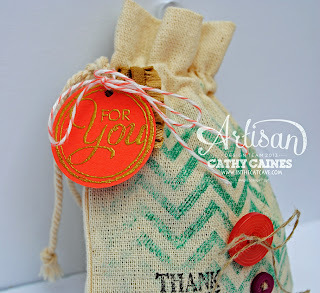 I stamped on it using the chevron background stamp. I used hot glue to hold the buttons on the bag. The tag is from the "Chaulk Talk" stamp set, embossed in gold on Calypso Coral cardstock. EVERY MONTH FOR THREE CHALLENGES!! They are released every month on the 1st, 7th and 14th! All three challenges are due at the end of the month. 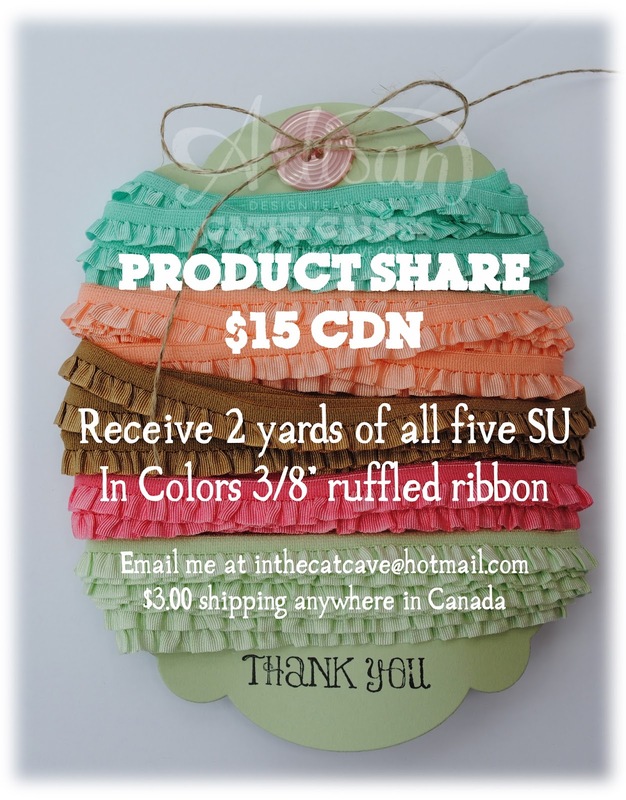 Check out this product share as well! Have a fabulous long weekend everyone!